Goslar, Germany – Pathways, an outstanding international conference, will focus on wildlife conflicts in Europe and look for solutions that are in line with conservation laws. Our continent is densely populated and many people feel threatened by the return of large carnivores such as wolves, bears or lynx. When these species find their way back, calls for population limits, protection zones and culling programs are often introduced. From 16-19 September 2018, researchers, foresters, hunters, conservationists, representatives from public authorities, politicians and other interested parties from all over Europe will meet in Goslar, Germany, to discuss current and possible future challenges. The conference is explicitly dedicated to knowledge exchange between professionals such as shepherds and other people who need to take protective measures in the field. The conference was founded by Colorado State University and it will take place for the first time in Europe. The initiative is a joint action between WWF, the Alfred Toepfer Academy, the Leibniz Institute for Zoo and Wildlife Research, and the EU-funded project LIFE EuroLargeCarnivores. 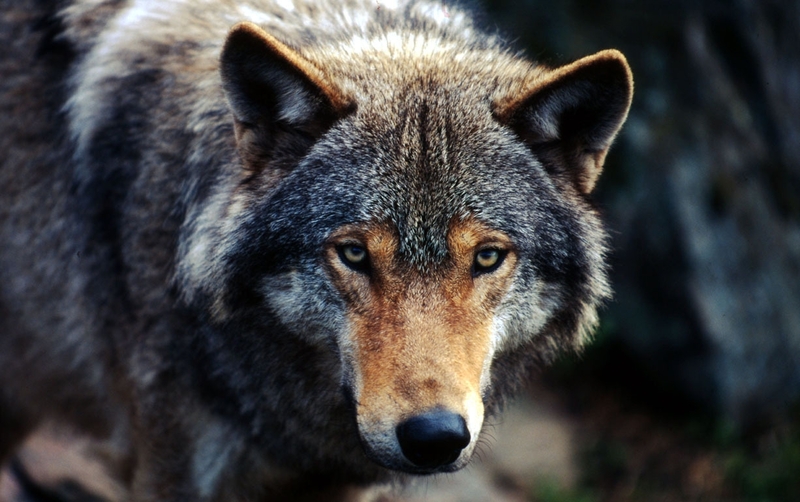 "Wolves, bears and many other wild animals are domestic species in Europe and thus part of the European identity. They deserve and need our protection. I’m convinced that coexistence is possible, but that requires our willingness to adapt and to take action," said Cristian Remus Papp, Wildlife and Landscape National Manager at WWF-Romania. According to official data, there are currently around 12,000 wolves, 17,000 bears, 9,000 lynxes and 1,250 wolverines living in Europe. They roam across national borders and seek new habitats, often close to settlements. "Looking beyond a country’s own backyard – its national forests -- helps to understand and solve local conflicts. In many regions, people have been living with predators for centuries. Local problems are often the same: wherever these occur, we can and should learn from our neighbours. We have established a European network and collaborate with different WWF offices and partners in order to improve the coexistence of humans and large carnivores”, Papp added. In addition to the conference, a digital platform in 16 languages is being launched at www.eurolargecarnivores.eu. Users can share their experiences and suggest and discuss existing solutions. Numerous examples of best practice show how coexistence can work if humans are willing to adapt - even in densely populated areas. The LIFE EuroLargeCarnivores project is funded by the EU and aims to provide a platform for the exchange of best practice in the areas of human-large carnivore coexistence among various stakeholders in the European Union. More than 16 countries cooperate and share knowledge and information across borders. This knowledge covers everything from different approaches to managing the social, economic and ecological challenges that come along with wolves, bears, lynxes and wolverines, to practical solutions such as livestock protection.